It's time to experience the future of travel on board a Segway X2! With your chosen accomplice and a group of others, you'll be on a 3 stage session to gain confidence and ability before finishing with a free roam to really enjoy these amazing machines. Lean forward and discover a completely new method of travel, at any of the stunning locations in the UK. Once you have both arrived and been welcomed to the centre, your Segway Adventure will begin with a safety brief before signing a waiver and getting dressed up in the safety gear. Then, you'll both be off on a practice session around a coned area to gain confidence before joining the rest of your group to reach stage 2 of the experience, where you'll be testing your skills ready for stage 3. During Stage 3 you'll be free to explore and really get to grips with these amazing vehicles of the future! The experience will finish with a certificate to commemorate the day. This is the perfect gift for those looking for a little adventure, don't miss out on this limited time special offer! 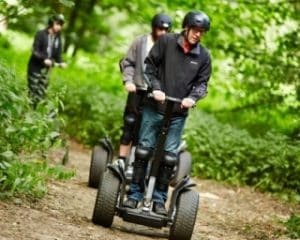 The Segway Rally is available on selected weekends and weekdays throughout the year - subject to availability. Times between June to August are 9am to 7pm (5pm in North Yorkshire). In the months with shorter days they run from 9am to 3pm and sometimes 5pm. Experience not suitable for pregnant woman, or sufferers of heart disease or epilepsy. Children under 16 must be accompanied by an adult, but this adult does not need to take the experience. Please note: Riders will not be allowed onto the circuit unless they are able to demonstrate they can control the machine to the standards set out in the training area. Allow around an hour for the Segway Rally for 2 - this includes your safety briefing. 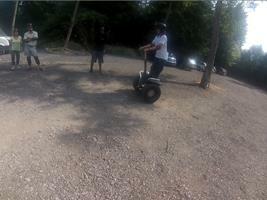 Participants: The Segway Adventure For 2 Special Offer is for 2 participants. You are likely to be in groups of 10-12 people. Spectators are welcome at most venues, but must be at least 18 years of age for the Nottingham & Harrogate location. Please dress in comfortable clothing that you don't mind getting a little dirty. Extreme weather conditions may cause the experience to be rescheduled. Please call the centre on the day to ensure it is going ahead. 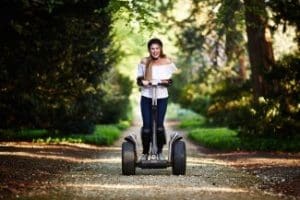 While the world patiently awaited the arrival of the Royal Baby, my colleague Dee and I were driving up to Horsham for a go at a Segway Rally with our friends at Segway Events. The sun shone down with exuberance and we were feeling positively jovial on the journey; it was great to get out into countryside and fresh air. Situated in Holmbush Farm, we drove next to vast fields and the occasional farmyard animal, including some very woolly alpacas! Soon we arrived at the Segway Events base, where we introduced ourselves to our instructors Tom and Addie, and got our first glimpse of the strange-looking machines. If you’re unsure what a Segway actually is (I had no idea how they worked), here’s a brief history and description: Invented in 2001 by Dean Kamen, the name ‘Segway’ comes from the word segue, commonly used in music to describe the smooth transition of two pieces. The vehicles are self-standing on two parallel wheels, and are battery-powered. There is no accelerator lever or pedal, the vehicle simply moves when you lean forward, and stops when you lean back (you can go in reverse, but apparently that’s quite difficult so we didn’t try that). Although there are handlebars, the steering is not the same as a bicycle, you don’t twist the handles to go left or right, rather you lean the control shaft in the desired direction. Our lead instructor, Addie, got us kitted out in knee and shin pads, elbow pads and helmets, then gathered the group (about twelve of us) for a safety briefing. It was obvious a lot of people were slightly nervous about the machines (including myself and Dee), but Addie was so funny and helpful he put us right at ease. After explaining how to control the Segways, we each individually had a test run around a tree to get a feel for the steering and acceleration. Most of us were rather jerky and a few came close to hitting cars in the car park, but everyone managed to stay on and there were luckily no casualties! We set off into the forest, 12 Segways rolling and Addie on foot (with us moving at about 5mph he wasn’t exactly left behind). Our first exercise came when we entered a clearing with big barrels dotted around, Addie gave us free rein of the field and we got a great opportunity to really get to grips with the Segways. It didn’t take long to get used to the feel of the steering, acceleration and stopping, soon enough the vehicle starts to feel like an extra limb that seems to react to your thoughts rather than your movements. One of the strangest sensations was coming to a stop, Segways don’t actually have brakes, so it’s less of a complete stop but rather a balance between forward and reverse. At first, it was somewhat difficult to maintain that balance, so there was quite a lot of rocking back and forth! Reconvening as a group, we had some photos taken by Tom, which were available to purchase at the end of the day. Not wasting any time, we were straight off into a more wooded part of the farm to try navigating a slightly rougher terrain. 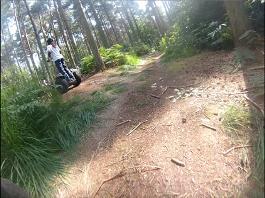 There were dips and hills, twists and turns, and all manner of woodland obstacles to avoid – it was easy to forget how big the wheels actually are! 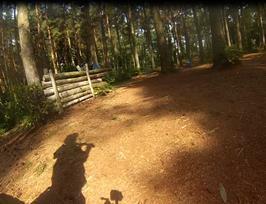 Again, we had free rein of the area, so we could push the speed of the Segways and really see what they can do. The sensation of driving with your body is very strange, but fun in equal measure! I can just see myself cruising down Brighton seafront on a Segway, definitely cooler than a bike. However, for a sweet price of £6,000, I think I’ll stick to the experience tours instead! I’d recommend the same for everyone, it’s like nothing I’ve done before and so enjoyable. The staff were great and helped make the day even better, plus we got a complimentary photo and certificate at the end so we have a tangible reminder of a brilliant experience. Can’t wait to try it again! This week we had the pleasure of interviewing Jon, founder of Big Bang Promotions, who own Segway Events. Big Bang Promotions have been with us since day one, being one of the first companies we set up with back in 2006! 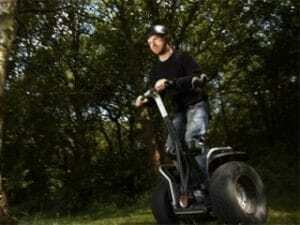 Segways have become a growing trend, and are now one of the most popular experiences to try. With this in mind, we decided to find out a little more about how it all began – so, enjoy! Q. How did you get into the Segway experience industry? A. 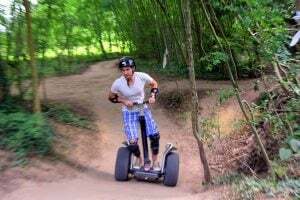 We had seen the product appear on some of the experience websites so made some enquiries to see if we could do with Segways what we had done with Bungee jumping. We had 10 Bungee locations which were able to take Segways so we could expand nationally and exclusively with the major agencies very quickly to make Segway Events the no 1 provider in the UK within two years of entering the marketplace. Q. What’s unique about your Segway experiences; what sets you apart from any other operators out there? A. We offer a consistent 1-hour product nationwide at 15 locations. No other operator offers this service. We create events with over 100 like-minded people to enjoy the experience together rather than on your own, with all locations chosen so customers can experience the venue once they have been on a Segway with us. For example two of our locations, Tatton Park and Clumber Park are national trust sites. New venues for 2017 include Richmond Golf course in London and a national park near Southampton. Q. Do you have any interesting customer stories you can share with us? A. Our oldest rider was 102 and he loved the experience and was part of over 55000 people who came to Segway with us in 2016! 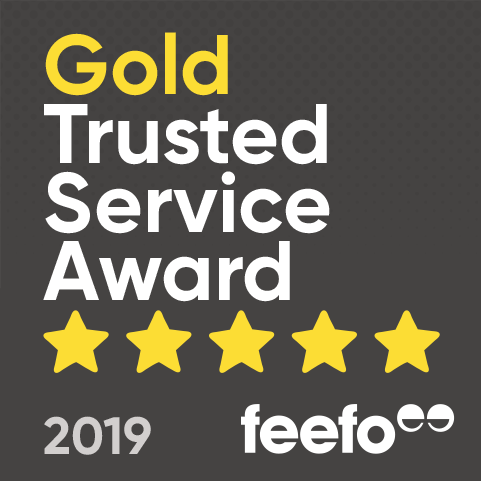 We would like to thank Jon for taking the time to answer our questions and for telling us a little more about one of the most unusual driving experiences available. 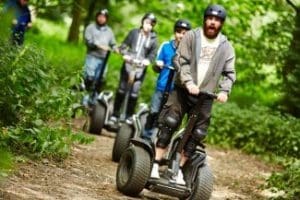 If you’re interested in trying out a Segway for yourself then take a look at our Segway experiences!